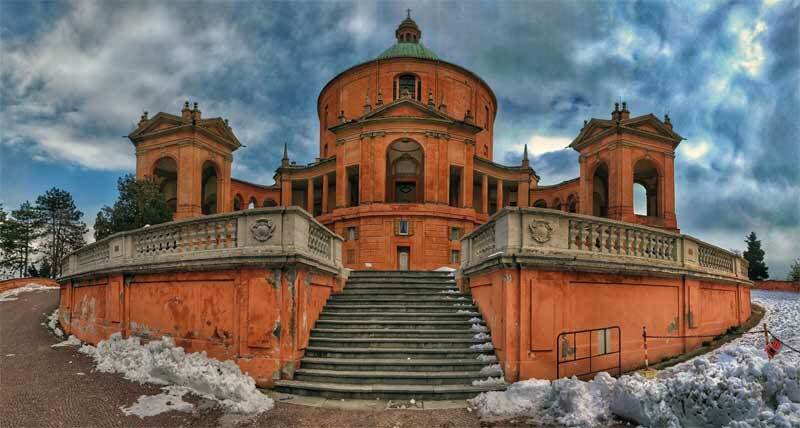 To visit bologna you can not choose better, the days between Christmas and New Year Eve are perfect. the city is full of colored lights and the streets smell the scent of sweets and the sparkling winter air. With the new year knocking on the door you just have to enjoy the last days of 2018 starting 2019 in the best way. 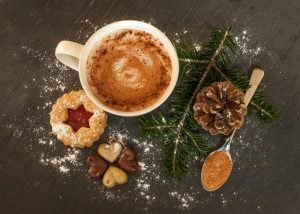 Every country has its own way to celebrate Christmas, in Bologna there are events and classic Christmas markets in which to get lost in sweets and gifts. Before going on, here are three good tips on some truly exceptional places to visit during the holidays. 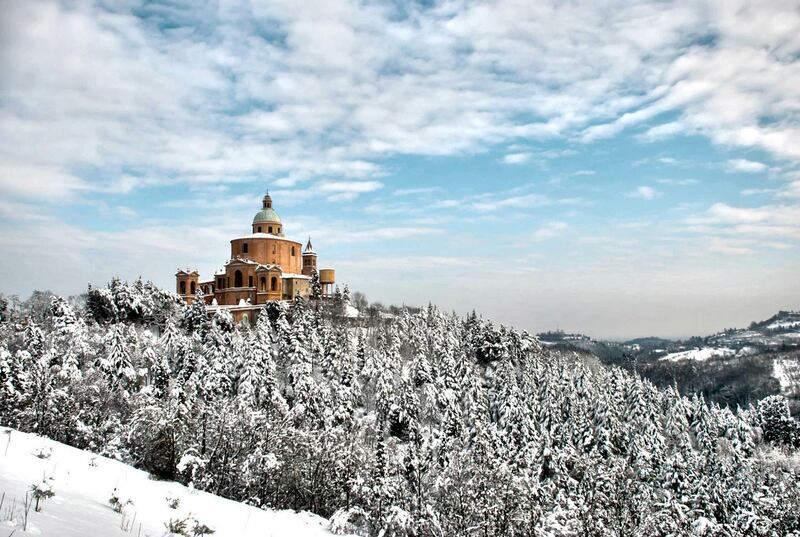 Climb to the top of the “Guardia hill” and visit San Luca is certainly a wonderful experience to try during the Christmas period. The district that housed the ancient market, it is today one of the most fascinating places to go, especially during the holidays. built to reflect the places of Christ’s passion, the seven churches are absolutely unmissable. The Gospel certainly is not typically Bolognese but who can resist such a show. Especially if it is the Harlem Gospel Choir, one of the best choirs in the world, came directly from America to perform at the Duse Theatre. book now and enjoy the holidays! The Christmas Dreams is the concert chosen to celebrate at the Teatro Celebrazioni. The Lyrical Choir of San Rocco will be accompanied by great soloists in his tribute to the “Magical Christmas” between classical and modern pieces. Gifts at the Palazzo is one of those unmissable occasions to cross the gates of Palazzo Re Enzo. In this beautiful place you can admire the best of Bolognese craftsmanship and choose the most beautiful Christmas gifts for your loved ones. 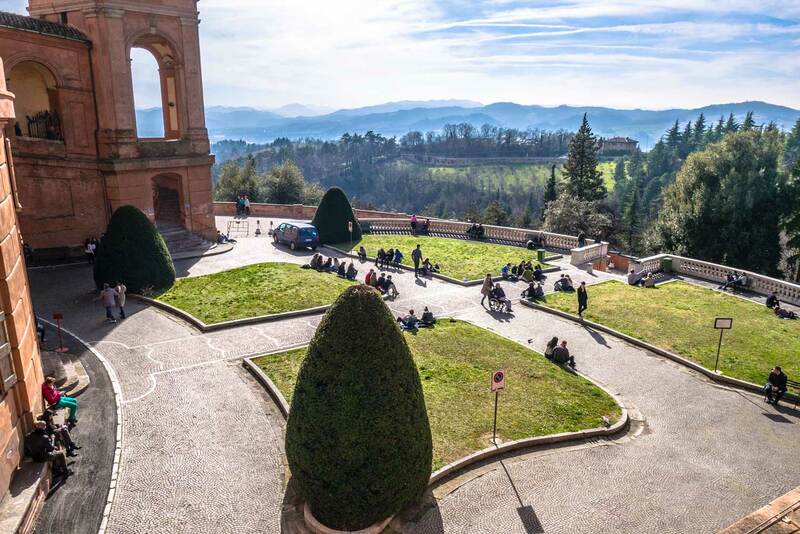 Here’s what awaits you: showcooking, theatrical tastings, exhibitions, beauty parades, craft workshops, book presentations, live demonstrations by talented artisans and more. 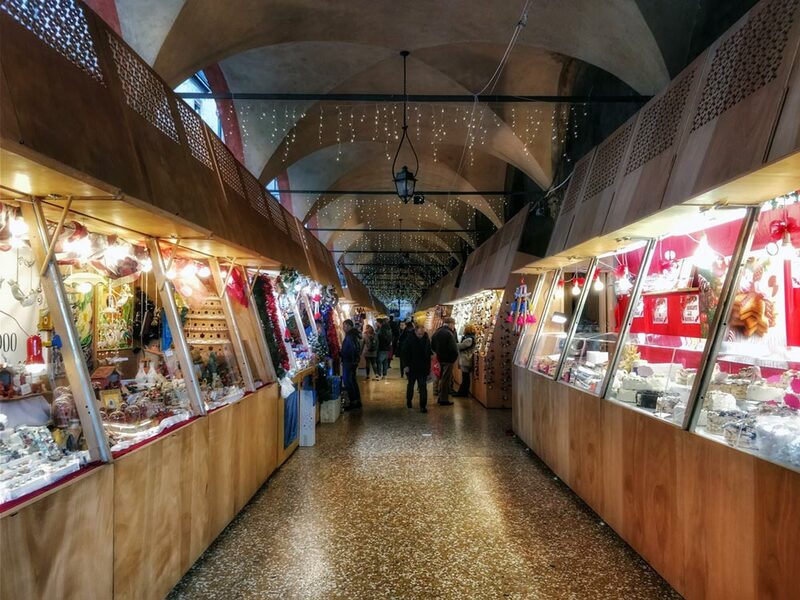 The Fiera di Santa Lucia is the Christmas market par excellence in Bologna. Along the Servi portico, next to the Basilica of Santa Maria dei Servi, are the typical stalls created to host the work of the Bolognese artisans and the typical nativity scene. Today the 38 stores that make up the Fiera offer a wide selection of decorations and gift ideas. Market of artistic craftsmanship - "San Giuseppe COLORART"
San Giuseppe Colorart is a truly magical market thanks to the group of “Artisans-Artists” that composes it and that has been offering its works for over 20 years. The products are all handmade and born from the creativity of the artists, you can find all sorts of works made with a wide variety of materials, leather, copper cloth. These materials in the hands of expert creators acquire new form and will have the power to surprise you. Confectionery and gifts for everyone in Via Altabella, right next to the Duomo. 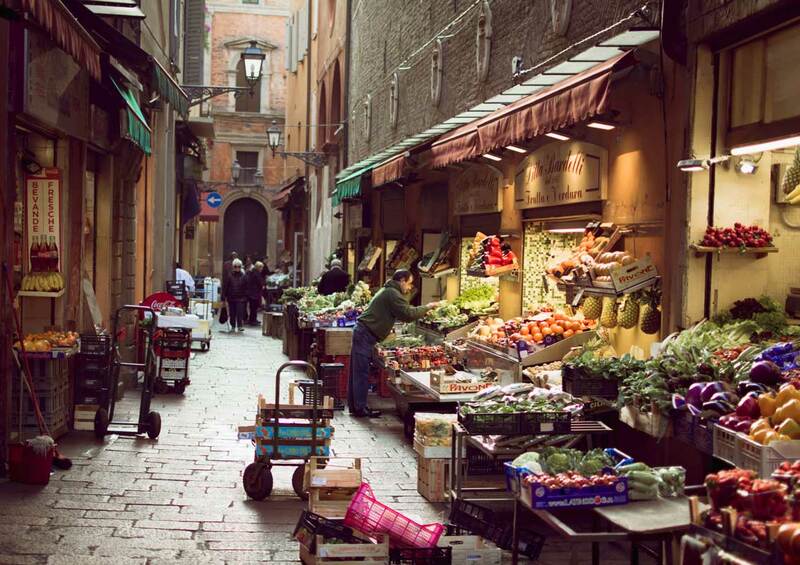 This small market is a sort of “corridor of desires” whose walls are made of bright stalls full of gifts and sweets. A small village that seems to have been built by the elves. Wooden houses and soft lights will welcome you in this intimate French-inspired christmas market. Try the specialties and flavors of this fairytale world and maybe walking around you will find a unique gift for your loved ones. Perhaps you do not know it but this event is very much loved in our city and has deep roots. From the nativity scene to the Bologna kitchen you will be able to surprise with its unique way of experiencing Christmas. Did you know that the tradition of the crib dates back to the thirteenth century and that in the province of Bologna is preserved one of the oldest cribs in the world? Let’s start from the origins, the artisan production begins during the Middle Ages. In this period the city was a destination for pilgrims to the Holy Land, Rome and Santiago de Compostela. In the eighteenth century the artistic phase begins and the Santa Lucia Fair is established, still active during the period of December. The characteristic of the Bolognese style is that the figures are made in full, including the clothes, and not dressed as for example in the Neapolitan tradition. If you want to admire the ancient examples of this marvelous art form, the oldest crib in the world is kept in the church of Capugnano in the municipality of Porretta Terme. 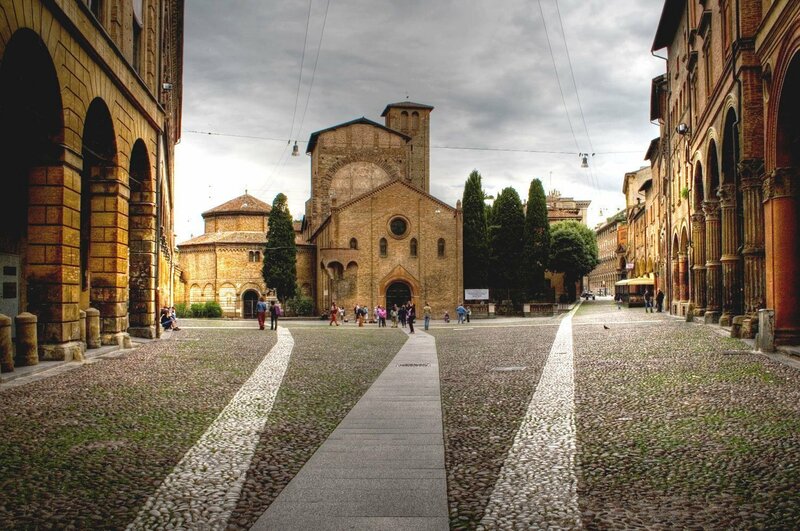 Within the complex of the seven churches or the Basilica of Santo Stefano one of the largest cribs in Italy is preserved, other historical examples are preserved in the National Art Gallery and the Davia Bargellini Museum. If you are a true fan, we advise you not to lose the traditional mechanical crib set up every year in the Basilica of San Francesco. It is now a Bolognese tradition to lay the Christmas Tree in Piazza Nettuno not far from the Fontana del Nettuno. The beautiful tree will be a welcoming and bright place to meet and feel the warmth of Christmas. A selfie with the beautiful tree in the background will be the perfect memory of your holiday! Tradition in the kitchen: Tortellini and "Panone"
During the holidays, the Tortellini could not miss, perfect for a special day. As a second course we choose a less known dish: the boiled meat accompanied by a delicious green sauce and as a dessert the “Panone“. This typical dessert is made with dried fruit, honey, mustard, cocoa, chocolate and spices. An explosion of flavors not to be missed! 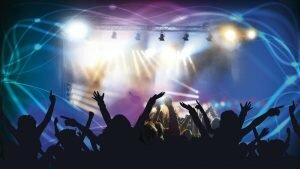 Now let’s see some tips on how to spend the last night of the year in an unforgettable way and start the new year in the right way. 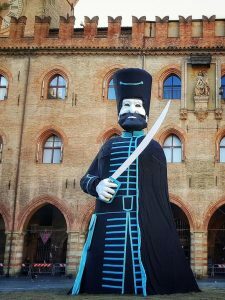 New Year Eve in Piazza Maggiore ed il rogo del "Vecchione"
Where to meet to celebrate the last of the year if not in the heart of Bologna? It has established habit to be in the square, with a well in advance to attend the burning of Vecchione. Every year a different fetish is created that represents the past year and at the stroke of midnight it is burned. In this way the specters of the past are exorcised and the people are free to live the year ahead by leaving the past behind. Usually a concert is organized in the square but this year the city council has decided that it will not take place. In addition, the fireworks have been banned, but it is not to worry, we will help you to spend a new year with a bang! If you do not like the idea of spending midnight in the square you can opt for the beautiful concert of classical music organized by the Teatro Auditorium Manzoni. The whole evening will be dedicated to the Walzer and the Bologna Municipal Theater Philharmonic will revisit for you the most famous compositions until performing the “Waltz” of Toru Takemitsu thus celebrating the 150th anniversary of diplomatic relations between Italy and Japan. We could not ignore the clubbing and we have a section dedicated to those who love to dance all night waiting for dawn. For all of you fiery spirits we have selected the best events and discos in the city. “In astronomy, related to the Galaxy – and that is where we want to drag you, if not yet with a Space Shuttle, leave your mind free for a cosmic tour at the mercy of electronic sound depth.In the final event of 2018, the good intentions for the new year we start them like this: 10 hours of music that will surround the PALANORD, in the largest arena of Bologna.